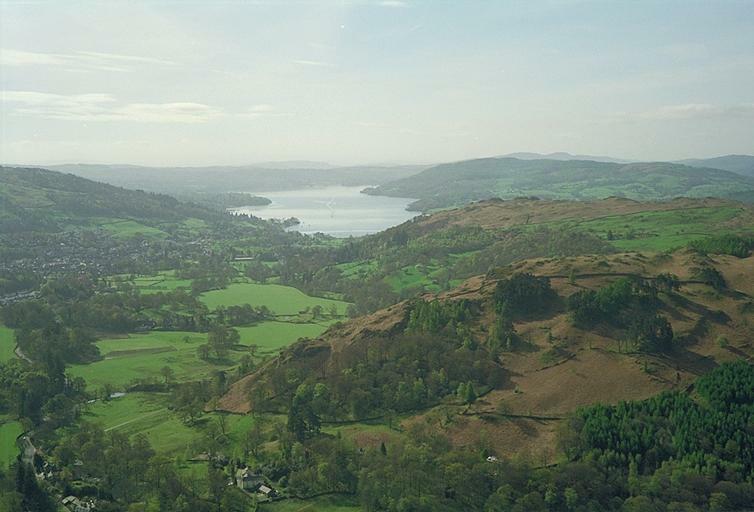 Ambleside is here seen nestling below the slopes of Wansfell Pike. Arnside Knott lies on the horizon beyond Windermere and on the other side of the Kent estuary. Claife Heights are to the right of the lake with Gummer's How and Staveley Fell beyond (I think). Smaller version of this picture.